1. 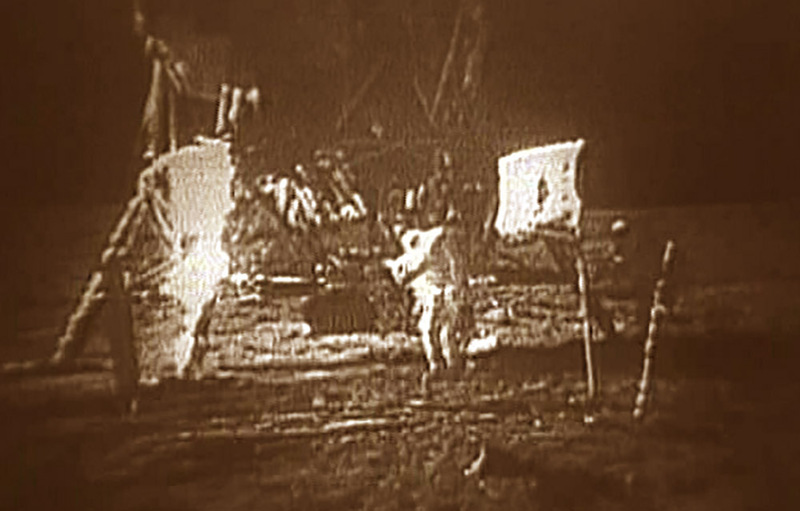 Landing on the moon is forged in the cinematographic pavilion in the Nevada desert. 2. John Kennedy was killed as a result of a conspiracy of his own special services (CIA, FBI), the mafia and then acting vice president Lyndon Johnson, as well as Cuban and Russian mercenaries. 3. In 1947, while landing at Roswell, an alien spaceship crashed. At this point the mysterious Zone 51 was organized. It is obvious that the US government still keeps the corpses of aliens and conducts secret experiments on them. 4. Space agencies in every possible way hide the evidence of life on Mars. 5. "Man" magazine insists that marijuana in the US territory be finally outlawed. The real reason for counteracting this is that the hemp plant is used in the production of paper, ropes, medicines and tissue. 6. Attacks on September 11, 2001 were not organized by terrorists, but by their own special services in order to justify the outbreak of the war in Iraq. 7. Inversion traces from aircraft are in fact substances that are secretly sprayed over villages and crops for mysterious purposes. 8. Denver International Airport is the center of the New World Order. There is an entire city under the earth. 9. Jesus Christ was married and had at least one child. 10. The underground society of more advanced beings living under socialist utopia and matriarchy uses the mysterious energy of Vril. During the Second World War, Germany used this technology to create flying saucers. 11. A car that can ride on water has already been invented, but automakers deliberately keep silent about this fact. 12. The tsunami in Indonesia in 2004 was caused not by natural forces, but by the use of a "tsunami bomb" - an underwater nuclear device. 13. The earthquake in Haiti in 2010 was caused by a nuclear test. 14. The digital television signal is used by the government to control the consciousness of the masses. 15. AIDS was developed by the US government as a biological weapon. Under the guise of health protection programs, blacks, Mexicans, Hispanics, Jews and homosexuals were actively exterminated. 16. Barack Obama is a "mothballed" agent of a Muslim country, and the purpose of the plot is to control the US. 17. UFOs kidnap people much more often, but government agents force witnesses to remain silent. 18. The menorah, captured by the Romans in the capture of Jerusalem by Titus in 70 CE, is still kept in the Vatican. 19. President Franklin D. Roosevelt was aware of the plan of Japan to attack Pearl Harbor in 1941, but remained silent, as he knew that this attack would persuade the American public to join the US in the war. 20. Fluoridation of drinking water increases the susceptibility of people to government "brainwashing." 21. Even before the first cosmonaut Yuri Gagarin officially announced, the USSR sent many astronauts into space. However, all of them died, and these accidents were classified. 22. Far Lap stallion - a winner from New Zealand and Australia was poisoned in the US in 1932. 23. The plays attributed to William Shakespeare, in fact, were written by three authors - Edward de Vere, Christopher Marleau and Francis Bacon, although it is possible that not all of this trinity were written under the pseudonym Shakespeare.